Vivaldi project first came into the limelight in January last year because of its interesting technology stack. Vivaldi is built on the Chromium platform. The browser has a powerful page and UI/layout rendering engine, which has been built with the website development technologies. 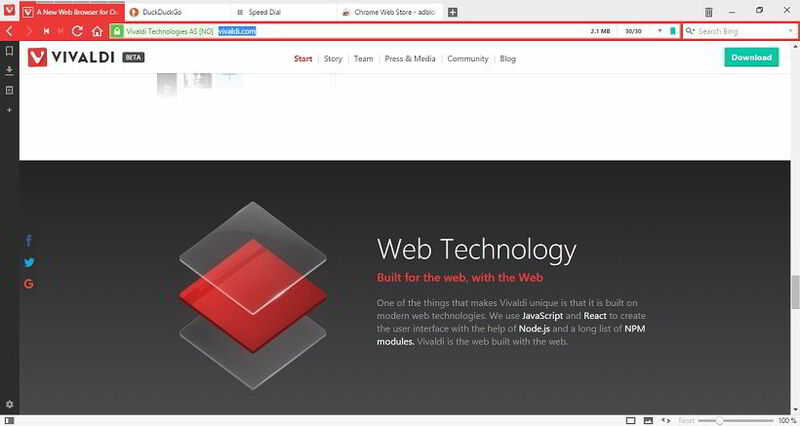 The developers at Vivaldi Technologies (ex-engineers at Opera Inc) has launched the Beta 3 version of their upcoming browser. I’ve tested the beta release. The browser may be in the beta development stage, but it offers a lot of interesting features. Vivaldi Beta 3 is amazing and fast. Once the stable and official version of Vivaldi is launched, it might turn out to be the best Google Chrome and Mozilla Firefox alternative. Creating notes from the content of a website is an easy task with the Vivaldi browser. To create or save a note, the user should select a paragraph or sentences and he must right-click on the selected content. Once you do this, Vivaldi will open a context menu. The user must select Add selection as a new note option from the menu. The note will be saved by the browser. You will not be prompted to enter a title for the note. Vivaldi browser allows you to preview the tab’s content. When you hover the mouse cursor on a tab, the browser will load a preview frame which will automatically disappear when you move the cursor away from the tab. Unlike other browsers, the zoom tool in Vivaldi will show its effect only on the tab in which zoom has been applied. In Vivaldi, the user has 2 options to get access to his favorite websites – bookmarks and sessions. The browser can save URLs of the websites you’ve opened as a session. Save to session feature can be accessed from the files menu of Vivaldi. Before saving the links, Vivaldi will ask you to enter a name for the session. The other option i.e. bookmarks are found in every browser that has been launched to date. In Windows, hibernate option will save the running programs, documents you’re editing or the web pages you’ve opened before turning off the PC. The content will be saved in the RAM. When the computer is out of hibernation, Windows will open the saved workspace as if your PC was never shut down. Vivaldi browser features the hibernate background tabs option which will free up the resources used by the inactive tabs of the web-browser. The tabs will not be killed. They will still point to the web pages you were browsing before using the hibernate option. To access the hibernated page, click on its tab. In the Vivaldi browser, you have an option of disabling images on web pages. In Chrome, Microsoft Edge or Mozilla Firefox, you should download and install a plugin for the same. This software offers the best customization when compared with Firefox or Chrome. It includes useful features to protect prying eyes from monitoring your online activity. 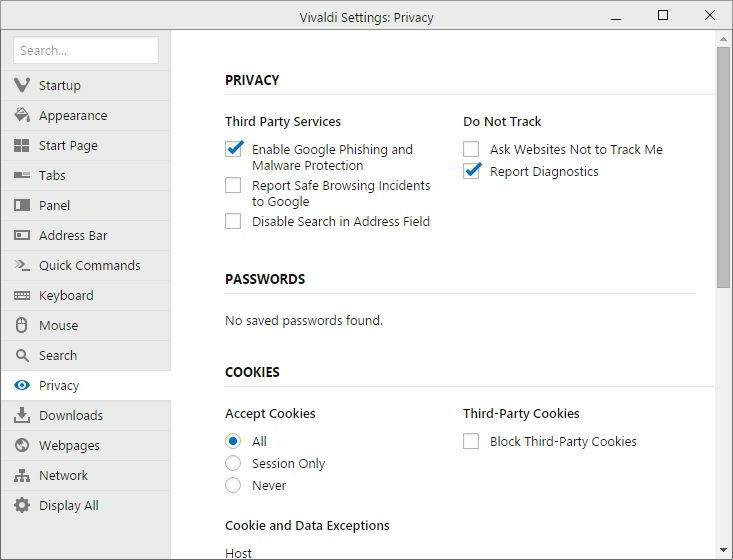 Vivaldi supports Google safe browsing and anti-phishing modules. Download the browser here from the official website. If you’re a user of Beta 2 or Beta 1 Version of Vivaldi, you can upgrade to the latest version by choosing the check for updates option from the help menu.